Today’s consumer doesn’t dream of owning something, but becoming someone. While marketers can often obsess over generational and regional trends, brand leaders now need to focus on deeper truths: who are their consumers, what do they care about and what inspires and motivates them to behave in the way they do? This insight doesn’t come from demographic data, but rather psychographic – analyzing a person’s mindset or set of beliefs and values. When you come to understand the key drivers of a person’s behavior, you start to put the pieces together. This holistic view of your consumer is what drives relevance, engagement and brand growth. One such attitudinal trait has become a key descriptor of Gen Zers and younger millennials: aspirational. 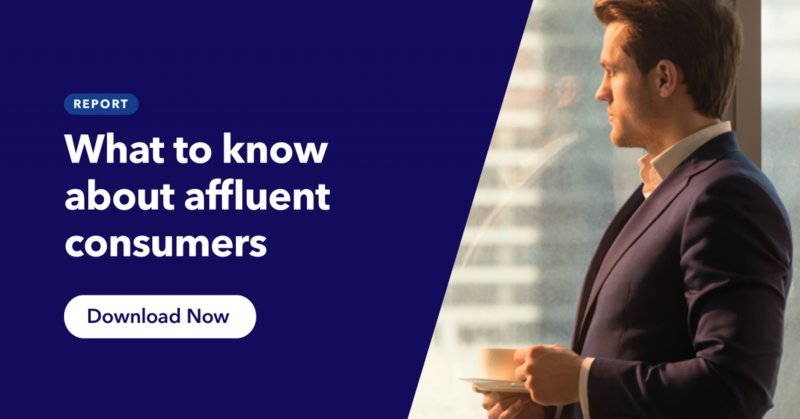 37% of global consumers fit into this category. Defined as those who strive for more in life, enjoy pushing themselves to learn new skills and tend to be career-oriented and opportunistic, these consumers are always on the lookout for brands and products that offer a 360 experience of their product or service. With aspirational consumers¹ making up such a significant portion of the global population, it’s an audience no brand can ignore. So here’s what they should know. 1. They’re young and cosmopolitan. 44% of 16-24s are aspirational, compared to 21% of 55-64-year-olds. 54% of aspirational consumers are full-time workers, mirroring the national average, while 15% are students. This group is also 28% more likely than the average internet user to be a senior manager, and 33% more likely to be a CEO or President of a company. Regionally, respondents in Latin America are 55% more likely than the average internet user to be classified as aspirational, and respondents in the Middle East and Africa are 49% more likely. There’s strength in fast-growth markets too; countries with the largest populations of aspirational consumers include Colombia (69%), the Philippines (59%) and Mexico (57%). These are all markets with particularly young populations which have largely come of age during recent periods of digital transformation, increased connectivity, and increasing opportunities. In fact, 7 of the top 10 markets with the highest percentage of aspirational consumers can be considered as fast-growth markets. Because of its overall size and presence in these markets, this group can be considered one of the most important segments for marketers. Attitudinally, this is an adventurous group that enjoys taking risks. They’re also conscious of their appearance and how they come across to others, and value experience-based products. The attitudes that these consumers over-index for persist even when compared against all 16-24s, which suggests that these traits aren’t inherently due to their young age. Their propensity for risk is clearly demonstrated in their personal interests; compared to all 16-24s, aspirational consumers are 27% more likely to say adventure and extreme sports are personal interests. They’re also 25% more likely than the average consumer to own cryptocurrency. Again, we see the importance of increased connectivity in forming the attitudes and values of this audience. Their highest indexing personal interests also reveal a high engagement with what’s going on in the world, whether that’s charities (31%), politics/social issues (41% ), environmental issues (46%), business (41%,) and entrepreneurship (38%). To account for the impact of their younger age profile, we compared aspirationals to 16-34s specifically and found that in line with their cosmopolitan outlooks, they’re 1.6 times more likely to be categorized as “cosmopolitan”; those who are interested in other countries, like to be surrounded by other cultures and aspire to live/work abroad. Compared to 16-34s, they’re also more likely to have visited Expedia, AirBnB and Skyscanner in the last month. With the combination of eye-opening experiences and shareable content, travel has become uniquely integrated into the culture of younger millennial and Gen Zers. Younger, experience-hungry consumers have enabled the travel industry to thrive. 56% of aspirational consumers take a domestic vacation at least every 6 months, while almost 3 in 10 take short-haul vacations abroad in the same timeframe. These consumers also over-index for both domestic business trips and short-haul business trips abroad, even when compared to their counterparts in the same income bracket. For the travel industry, there’s solely the experience being sold, which is why retail marketers – who are shifting their attention to Gen Z – can take cues from how travel experiences are packaged and sold. With content that’s infused with aspiration and emotion, well-versed travel marketers know that aspirational consumers will spend significant time and money on life-enhancing experiences. And as a highly technophilic group (those that love new technological products and enjoy technology being integrated into their everyday lives), aspirational consumers could be more inclined to view VR marketing in travel favorably. 3. Social media is the defining space for brand interactions. Experience-based marketing goes hand-in-hand with – and has clearly been aided by – the meteoric rise of social media. On average, aspirational consumers spend almost half an hour more on social media per day (2hr 47m) than the global average (2hr 21m). This is a highly engaged audience; they’re typically 20-30% more likely than the average internet user to have interacted with a brand in some format in the past month. Engaging with a brand on a messaging app (16%). Sharing a brand’s post on a social network (17%). Providing ideas for a new product (14%). Approximately a fifth of aspirational consumers also follow vloggers and bloggers on social media. Whatever your opinion of them, influencers are key in promoting experiences, thanks to their aspirational and often relatable content. Vlogs, social media and expert reviews claim the top spot when it comes to brand discovery and product research. 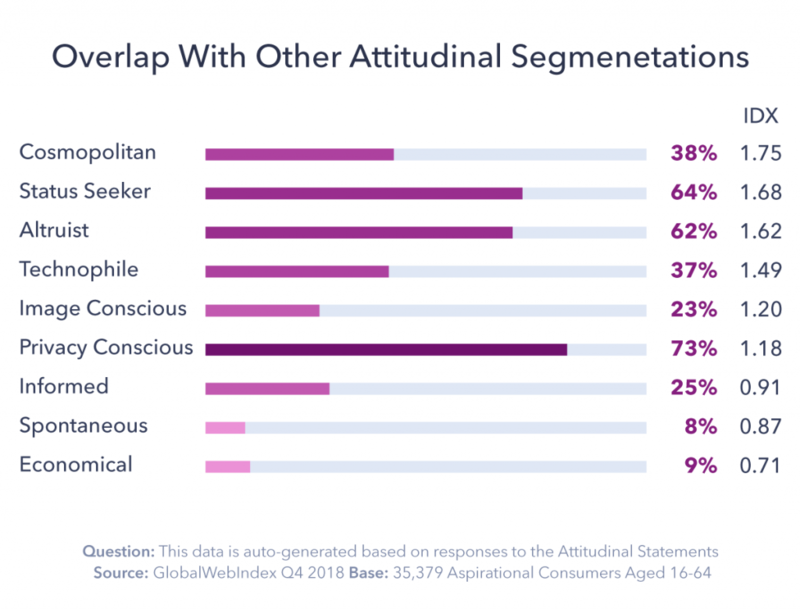 And compared to the typical internet user, aspirationals are 1.5 times more likely to have both researched a product they’re interested in buying on Facebook and clicked on a sponsored post on Instagram. Meanwhile, they’re 1.3 times more likely to say that a ‘buy’ button on a social network would motivate them to purchase a product or service. 4. They crave exclusivity and experiences. Leveraging a destination in retail marketing gives consumers a reason to show up, especially in light of so many brick-and-mortar stores facing increasing challenges to maintain foot traffic and compete with online counterparts. According to data from commercial real estate company CoStar, more than 5,000 stores announced closures totaling 147 million square feet of retail in the U.S. last year. Live experiential events, such as pop-up stores, sponsored events or large-scale festivals, offer the perfect place to provide everything these consumers are looking for. They can convey complex stories and messages about a brand’s culture whilst also offering experiences that consumers have likely never tried out before, cleverly blurring the lines between brand experience, advertising, PR and media. Last year, for example, London Fashion Week created significant buzz through various interactive and fun(!) events. From playing in Stella McCartney’s ball pit to having an afternoon nap on Anya Hindmarsh’s chubby cloud, brands are recognizing the value in giving consumers memories that they’re actively involved in, rather than objectively viewing from afar. Limited or time-sensitive events can also create a sense of exclusivity or scarcity. The Converse ‘One Star Hotel’ saw Converse create a two-day pop-up in London, presenting an engaging line-up of fashion, sneaker, skate and music experiences for Converse fans. The activation was an ‘Instagram playground’, and brought the Converse story alive. 5. They’re an ideal target for the music industry. An industry that can massively capitalize on aspirationals’ love of engaging, personalized experiences is the live music industry. While the now-infamous Fyre Festival over promised and massively undelivered, it does outline the power of how lifestyle experiences can be marketed. 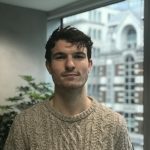 Music was largely irrelevant in the overall marketing strategy of Fyre Festival – the performances were there merely to provide some structure so that consumers could rub elbows with A-list celebrities and have unique interactions with the biggest and best brands. Likewise with Coachella, which was built on Woodstock’s idea that a music festival was some sort of psychic space, music almost becomes secondary. Coachella has branded itself as a venue for fantasy; it offers aspirational consumers an escape into an experience of style and luxury out of reach for most attendees in their day-to-day lives. What’s more, aspirational consumers are 1.6 times more likely than the average consumer to say they’re one of the first people to discover new music artists, 1.5 times more likely to say they regularly attend live music concerts, and 1.4 times more likely to say they’re passionate about a really wide range of music artists. Marketers in the music industry should explore new styles and sounds to engage consumers who enjoy discovering new and culturally-distinct music. Spotify is an ideal example of a brand delivering remarkable content experiences, creating personalized recommendations, playlists and ‘daily mixes’. It’s also a brand of choice among these consumers. Aspirational consumers are 1.3 times more likely to have used Spotify in the last month. Similar to Netflix users seeing different thumbnails and descriptions depending on their TV/movie preferences, Spotify uses hyper-personalization in creative ways to refine its complex recommendation engines and keep its audience engaged. The top five most distinctive things that brands can do to create advocates all surround the idea of aspirational experiences; giving consumers insider knowledge, enhancing their status, creating personal relationships, providing exclusive content and making them feel involved. Elevating the experiences for aspirational consumers, by personalizing the customer experience in the same way that a travel agency would, is a strong start in creating loyal brand advocates. Brands will win and differentiate when they’re delivering on deeper aspirations and values, whilst connecting and empowering consumers with something bigger than themselves. ¹An aspirational consumer is defined here by their agreement to certain statements pertaining to career, money, skills, personal development, and attitudes to life.